While prevention is the best defence against these parasites, it’s essential to be able to recognize the signs and symptoms of fleas and ticks so that you can help your pet. Fleas and ticks are two of the most common pet care concerns in Canada. Fleas are wingless parasites that feed on blood, can jump up to 2 feet high and live in the environment. Fleas can live for 13 days or as long as 12 months and can produce millions of offspring during that time. Ticks are parasites that feed on the blood of unlucky pets. Although many animals may not even notice they’re there, ticks can transmit many diseases through their bite. Some of these diseases are also zoonotic (meaning humans can contract them too and become quite sick)! Ticks tend to be more active in late spring and summer and live in tall grass, where they can attach to your dog. New studies have shown, that ticks will start to emerge and look for a host as soon as the temperature reaches 5 degrees Celsius (41 Fahrenheit). We don’t see a lot of fleas in the Calgary area, but that doesn’t mean they’re not around! Mostly we see them on farm or acreage dogs. Fleas are usually noticed on a dog’s abdomen, the base of the tail and the head. Common symptoms of fleas are droppings or “flea dirt” in a dog’s coat, flea eggs (tiny white grains), excessive scratching, licking or biting at the skin, hair loss, scabs or allergic dermatitis. Most ticks are visible to the naked eye. Ticks are often the size of a pinhead before they bite. Once they feed and swell with a blood meal, they become very large and almost balloon-like. While these parasites rarely cause obvious discomfort, it is a good idea to check your pet regularly, especially if you live in a tick prevalent area or you like to hike or hunt with your dog frequently. Run your hands thoroughly over your pet every time he comes in from outside, paying particular attention to in/and around the ears, head and paws. We can prevent our dogs from getting these nasty parasites. 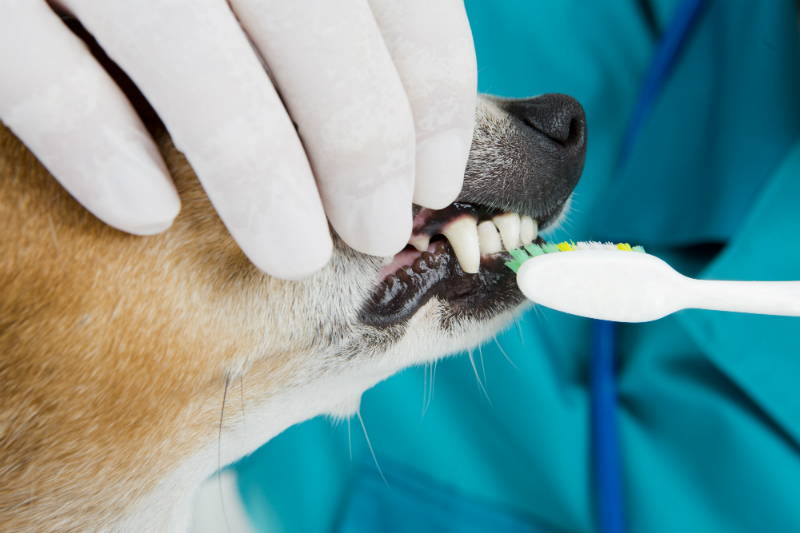 There are a lot of great products you can pick up from your veterinarians, including topical liquids, monthly chewable tablets or chewable chews that last for three months at a time. If you’re worried about fleas and ticks, please come and talk to your veterinary team and we will help you pick out the most effective product for your dog. You can try to remove the tick yourself but be very careful not to leave the head or mouth part attached as this can cause infection in the bite wound. If not sure, bring your dog in, and we can carefully remove it for you. There also tick collars you can use or topical solution that we put onto the skin of your dog, and this will take care of any other ticks that may be hiding on your pet.